Show the world that you are a true gentleman! 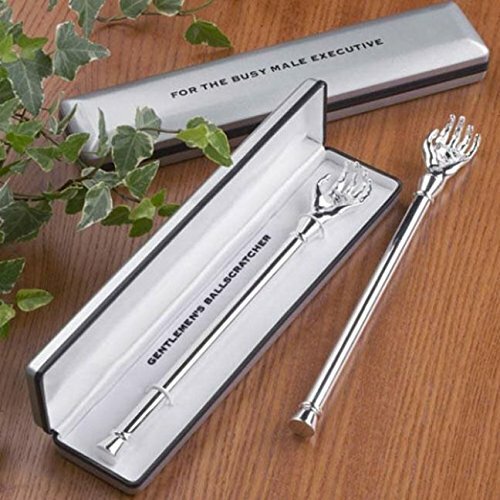 Don’t be one of those pigs who stick their hand down their pants to scratch their balls in public.Show some dignity and respect with the Gentleman’s Ball Scratcher. Presented in a discreet and elegant box. The gift that keeps on giving! Not only will your balls be happy but you will be doing yourself and your loved ones a favor by keeping your hands clean while doing that dirty deed.